The first step is an initial meeting or consultation at your property. 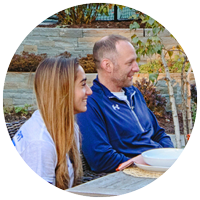 We ask questions, listen carefully, and begin to understand your goals and dreams for your outdoor space. We also explain our design + build process, and answer your questions, so you get a great sense of what working with Ground One is all about. At the end of the consultation, we’ll give you a design agreement for schematic design services. 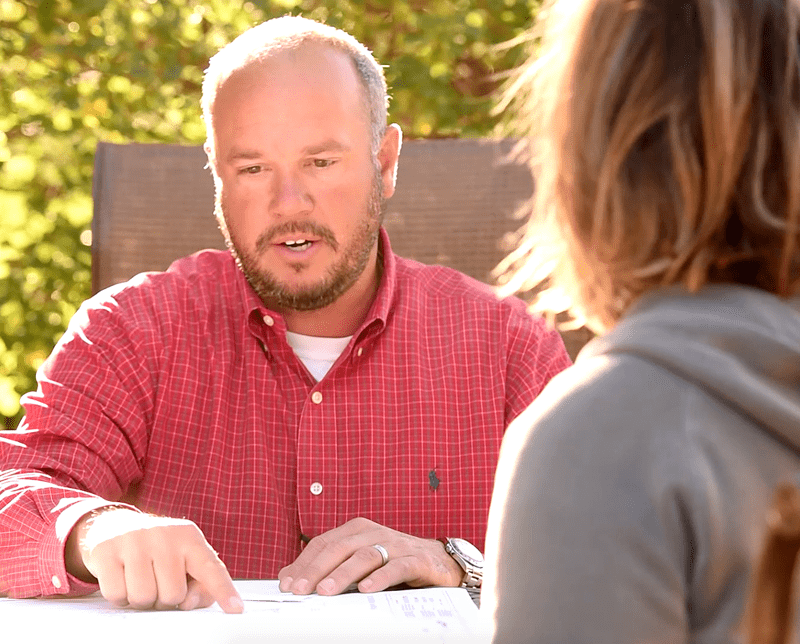 When you’re ready to move forward with your landscape transformation, just return your signed agreement and the design fee, and we’ll proceed with your landscape design. 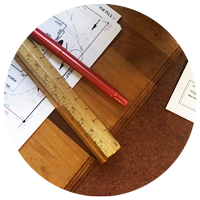 To begin schematic design, our team reviews any existing surveys or base maps of your property, takes site measurements, and photo documents your existing landscape. 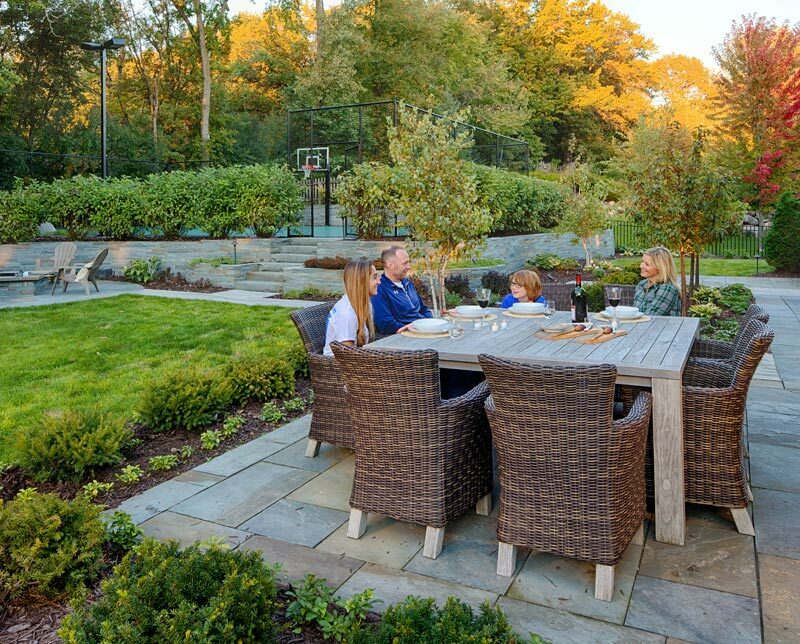 This data, along with a clear understanding of your goals and lifestyle, helps us create a customized conceptual plan of your new outdoor space. 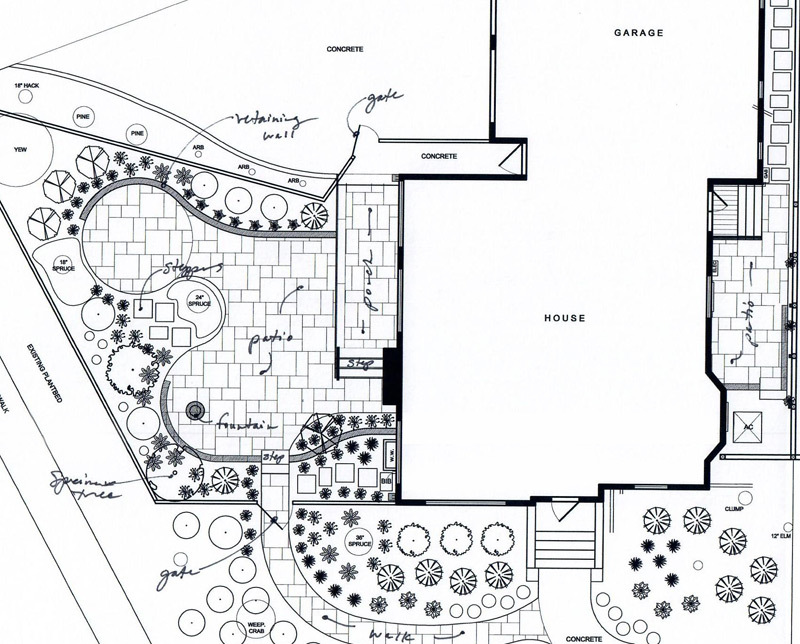 Schematic design drawings will communicate the entire scope of your project, including size and location of spaces and features, circulation patterns, plant areas versus lawn areas, etc. 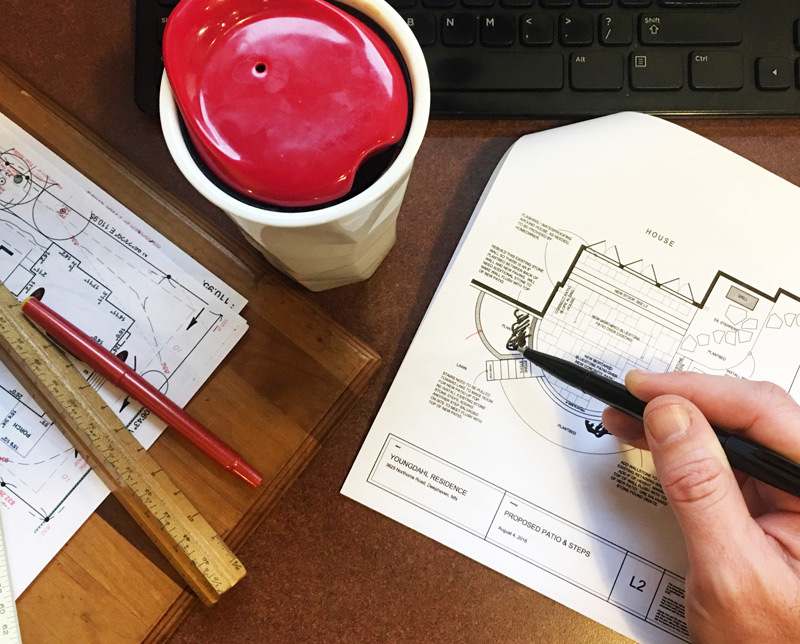 When we present the schematic design to you, you will see scaled drawings, inspirational images, and preliminary pricing – all of the information you need to determine how you want to scope or phase your project. After you’ve determined how you want to proceed, a down payment on construction services reserves your spot in this season’s construction schedule. The final design springs from a truly collaborative process that combines your dreams, ideas, and feedback with our vision and expertise. 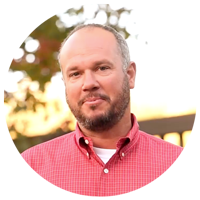 Our landscape architect will refine the design based on the feedback and ideas that were sparked in the schematic design review. Design development culminates in complete construction drawings and exact material choices and planting specifications. Once you approve the final design and sign the installation contract, construction of your new outdoor space can begin. 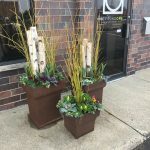 Next comes the actual installation of your landscape design. 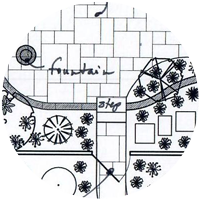 In this phase, expert craftsmen translate the landscape architect’s drawings into your newly built outdoor space. The project manager and construction foreman will provide regular progress reports so you know exactly how the project is unfolding. Once your new landscape is complete, a final walk-through is scheduled. 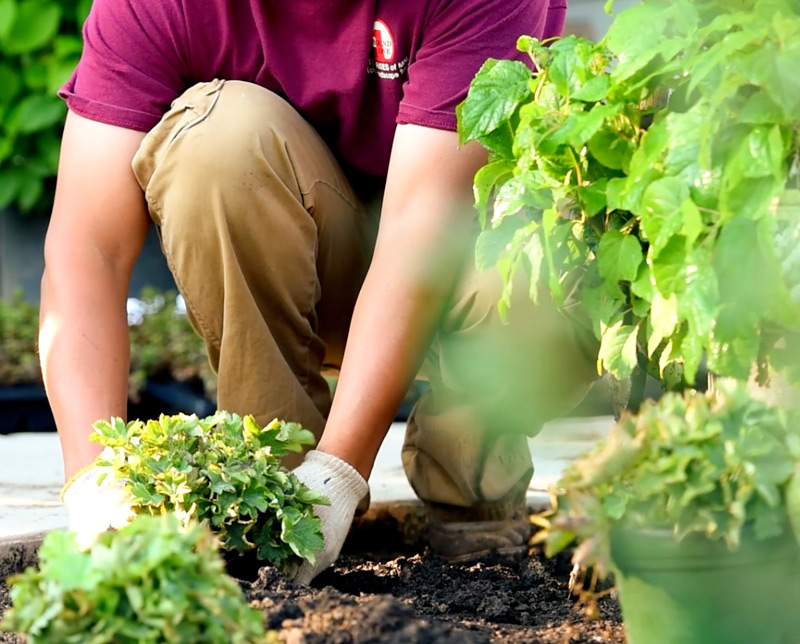 At this meeting, we will provide maintenance instructions for your new landscape and walk through your property to ensure that we’ve met each and every one of your expectations. This is the best part. 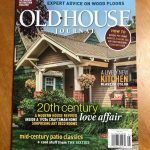 It’s time to kick back, relax, and love your outdoor living! Not ready just yet? 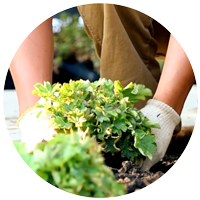 Click here to learn more about Landscape Design + Build Services.